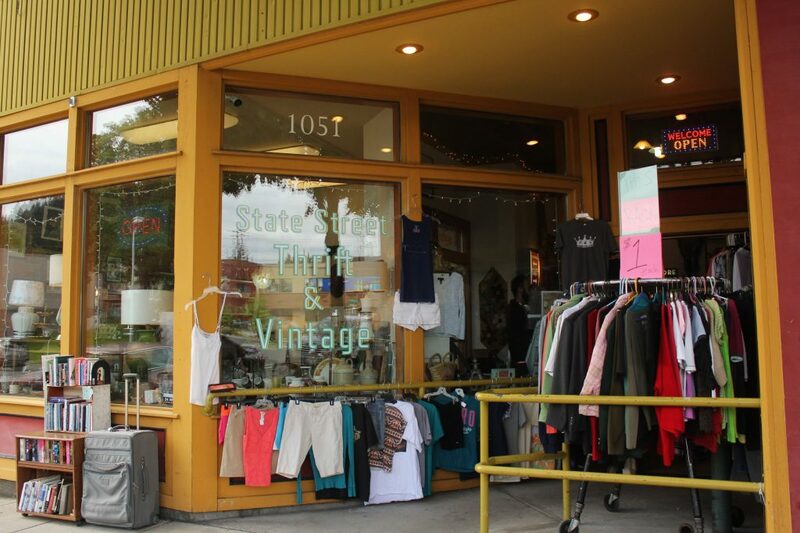 State Street Thrift and Vintage receives donations from the community, and does not refuse a single item. 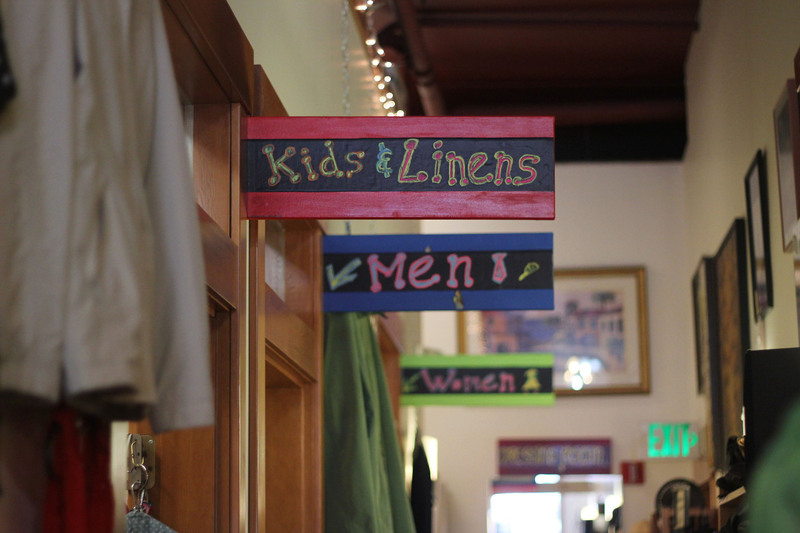 If the item is damaged or cannot fit in the store, State Street donates it forward to Lighthouse Mission or Ragfinery. The shop’s pipe racks, shelves, handles, etc., that hold and support the products are come from RE Store, a building supply thrift store. 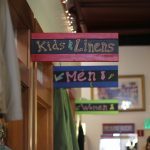 All of the practices of the store – whether it’s what’s taken and given to the community, what builds the store, or how much trash they produce – lead to approximately zero waste. 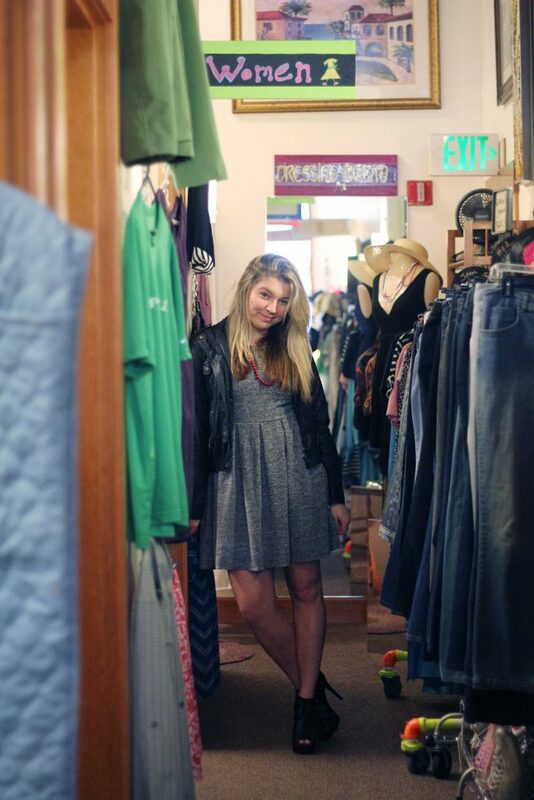 Two years ago, in May of 2014, Kim DeCarlo and Ethan Dodgson bought the space that would host State Street Thrift and Vintage. DeCarlo and Dodgson never really planned on owning a business. 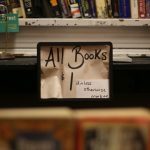 DeCarlo worked as a volunteer at the previous store in the space, when the owners decided to close the business. After a quick and short discussion, and over the course of a week, DeCarlo and Dodgson owned a business. 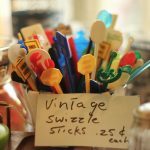 The two had always been collecting vintage items and selling the products online on Etsy and Ebay. Once they owned State Street Thrift and Vintage, the transition was easy. 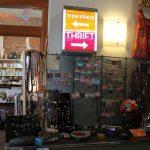 They combined their online vintage business with a thrift store for the community, as well as donating part of their profit to the Whatcom Hospice Foundation. DeCarlo and Dodgson enjoy upcycling items, not throwing those items away. 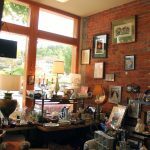 They find the beauty in old things and make sure that is what comes through in their store. Their products are either donated from the community or are bought by DeCarlo and Dodgson from yard and estate sales. They accept everything that is donated to them. 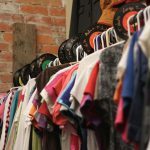 However, if they can’t fit that product in, or the product is damaged in some way, they will donate it forward to somebody else that will have better use for it. 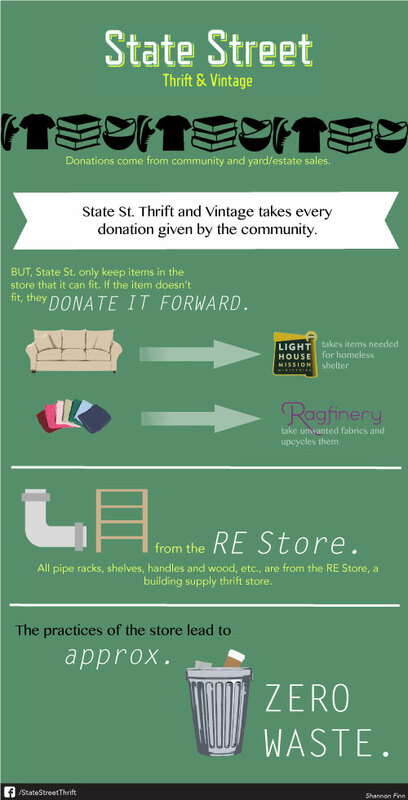 Even the shelves and pipe racks within their store are reused – from the RE Store, a building supply thrift store. 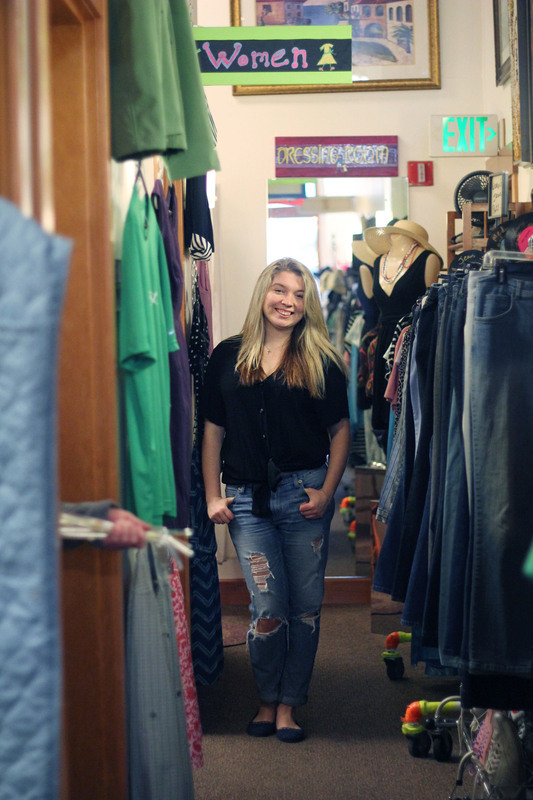 To find State Street Thrift and Vintage, drive down State Street, a one-way street, and it’s in the block past Maple Street. next to Pepper Sisters, on your right. A good signifier that you’re at the thrift and vintage store is the one with lamps in its front window. State St. Thrift and Vintage features men and women's clothing, books, vintage products, kids books and linens, etc., in Bellingham, Wash.
Susan Petris models State St. Thrift and Vintage's clothes in the store on State St.